Although South Africa tried their best and fought till the end, India were just too good for them as they fell short of their target of 173 runs by eight runs. Let us look at how all the Proteas fared in this match. South Africa wouldn't have wanted things to end up like this. After their series-levelling victory in Centurion in the previous match, they would have wanted to win the Twenty20 (T20) series in Cape Town on Saturday. However, things turned out exactly in the opposite manner for the hosts. India, clearly the best side between the two in the entire limited-overs' leg, wrapped things up with a clinical performance once again. Although the Proteas tried their best and fought till the end, India were just too good for them as they fell short of their target of 173 runs by eight runs. Let us now have a look at how all the South African players fared in this match. The 31-year-old right-handed debutant produced a stellar show with the bat on Saturday. He arrived at the crease with South Afric having lost three wickets for 79 runs in the 13th over, and proceeded to change the complexion of the game with his hard-hitting abilities on a two-paced pitch. His late surge kept South Africa alive till the last delivery of the match. Fittingly, he was the last South African to fall — on the last ball of the match — with a score of 49 runs off 24 deliveries to his name. His innings consisted of five fours and two huge sixes, but unfortunately for him, was not enough to pull Proteas across the line. The skipper has been in very good form with both bat and ball in this series and he showed that once again on Saturday. He gave away only 22 runs off his three overs at an economy rate of 7.33; India scored at an overall rate of 8.60. Later, he kept South Africa in the game single-handedly — until Christiaan Jonker took over — smashing 55 runs off 41 deliveries, an innings that included three huge sixes and a couple of sweetly-timed boundaries. This may have been his debut series, but that didn't stop Junior Dala from emerging as his team's highest wicket-taker. 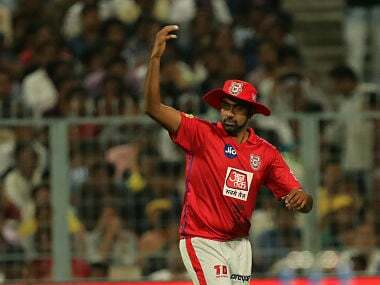 He was the highest wicket-taker on Saturday, with figures of 3/35 to his name in four overs. His scalps included Rohit Sharma, Manish Pandey and MS Dhoni. 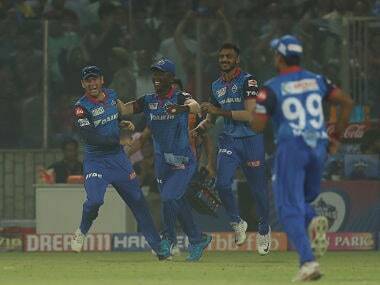 He got rid of Rohit with a top-class delivery that came in and trapped him plumb in front of the wickets. He later used pace and bounce to get rid of Pandey and Dhoni. Moreover, he also affected a superb run-out with a direct-hit from deep square leg to send Shikhar Dhawan back. 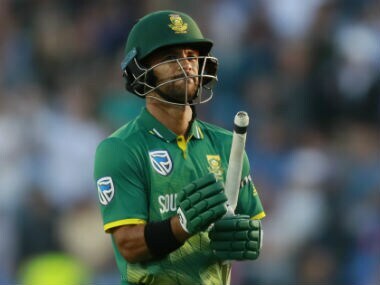 Behardien’s rating of 8 might sound an exaggeration but consider the fact that he scored 15 runs off just six deliveries towards the end of the South African innings, and when most other batsmen failed to get going on this pitch, he walked out and smashed everything to the boundary. 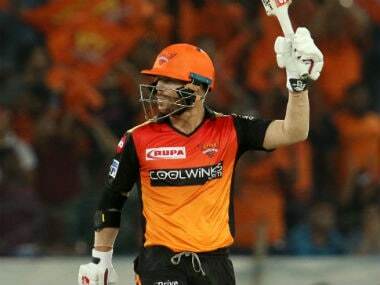 Moreover, he provided able support to Jonker during their 51-run stand in the last few overs as the duo threatened to take the game away from India. Shamsi hasn't been very effective as a spinner throughout this series. However, he particularly bowled well in Cape Town on Saturday. His figures of 4-0-31-1 might not tell the value of his spell. 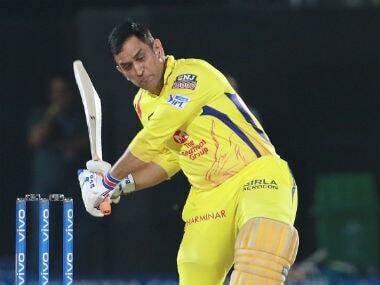 However, the fact that he got rid of Suresh Raina, who was looking in sublime touch, gave a massive fillip to South Africa, and an opportunity to put the Indian middle-order under pressure. Morris once again turned out to be expensive, giving away 43 runs in his quota of four overs. 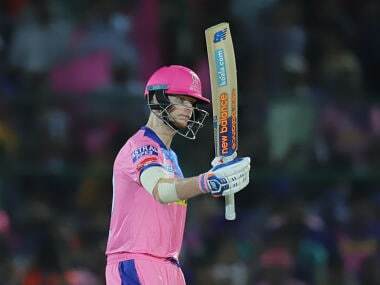 He, however, did pull things back towards the end with a couple of wickets in the form of Hardik Pandya and Dinesh Karthik in the last over of their innings. 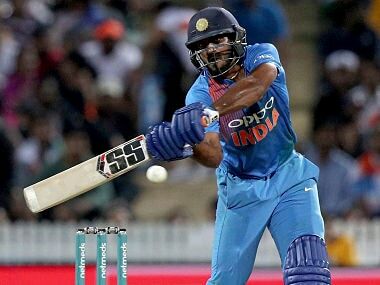 He failed to produce anything meaningful with the bat as he was cleaned up by Jasper Bumrah for just four runs. South Africa promoted David Miller in the batting order on Saturday hoping that he would find some much-needed form. However, all he could produce was a lacklustre innings of 24 runs off 23 deliveries. Proteas clearly wanted more from their senior batsman. Phangiso didn't have much to do in this match except for bowling a couple of overs. And he did a tidy job in those two overs giving away just 13 runs. He hit the right line and lengths and showed good variations in pace. It was a surprise that he got to bowl only a couple of overs. Phehlukwayo bowled three overs for 26 runs, but couldn't register any wicket to his name. Giving away runs at an economy of over eight without claiming any wickets did peg Sout Africa back. Hendricks showed good form in the previous two matches with scores of 70 and 24 respectively. However, he failed to deliver in the decider, scoring only seven runs. Crucially, he consumed 13 balls for his modest score and effectively started South Africa’s struggle to keep up with the asking rate. Klaasen is one of South Africa’s best finds of this series, having produced a couple of match-winning innings, one each in the ODI and T20I series. 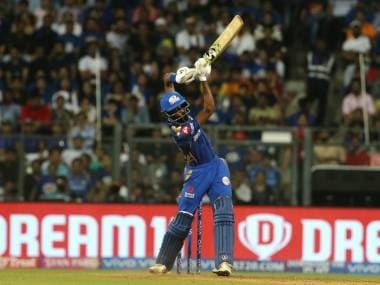 However, Saturday definitely didn't turn out to be his day as he got dismissed by Hardik Pandya — for just 7 runs made off 10 deliveries — when he ended up handing a straight catch to Bhuvneshwar at mid-off during the 13th over of their innings.